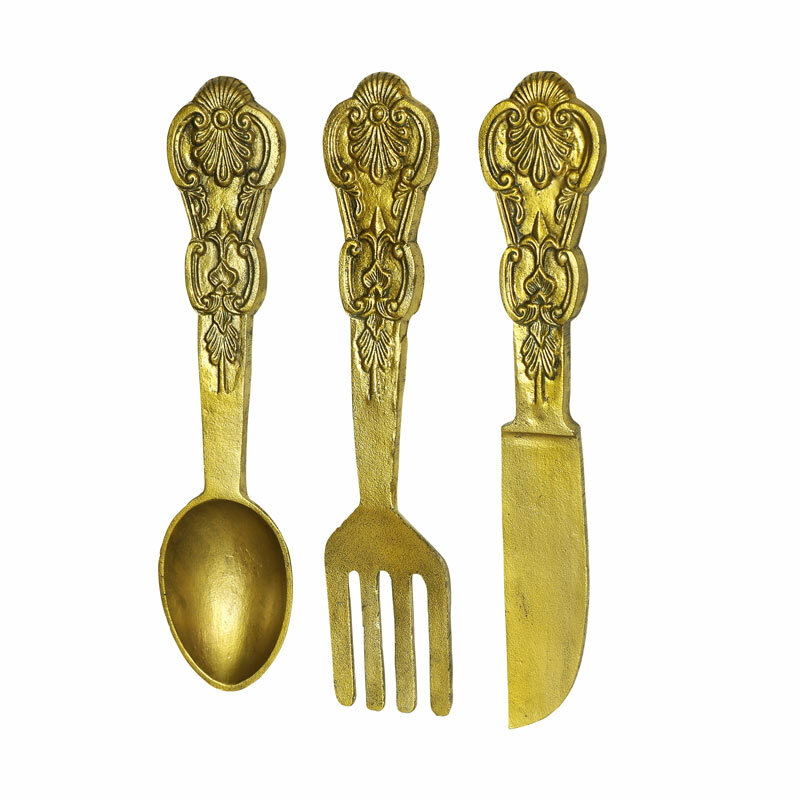 This Gold metal oversized knife, fork & spoon cutlery set is perfect wall decor for a kitchen, dining room or hallway. This stylish, vintage inspired kitchen accessory is an eye catching home decor piece due to its gold finish and would make an excellent statement wall art choice. Also available in other colours to suit most interiors. The handles feature ornate Baroque style detailing to add vintage appeal. This will make a fantastic gift idea for the chef of the house or for the new home. 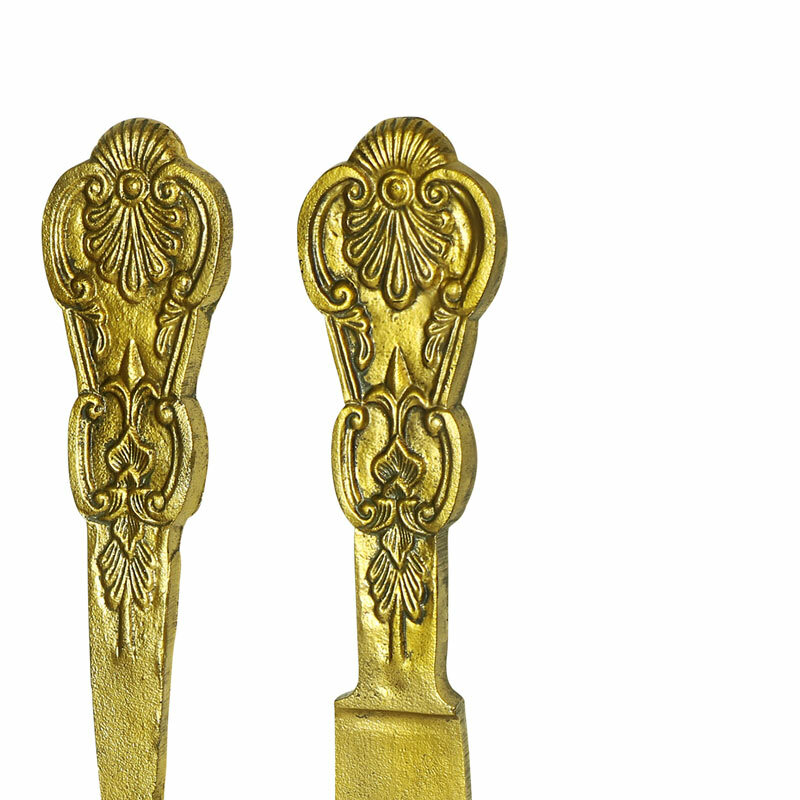 This Gold metal oversized knife, fork & spoon cutlery set is perfect wall decor for a kitchen, dining room or hallway. This stylish, vintage inspired kitchen accessory is an eye catching home decor piece due to its gold finish and would make an excellent statement wall art choice. Also available in other colours to suit most interiors. The handles feature ornate Baroque style detailing to add vintage appeal. This will make a fantastic gift idea for the chef of the house or for the new home.